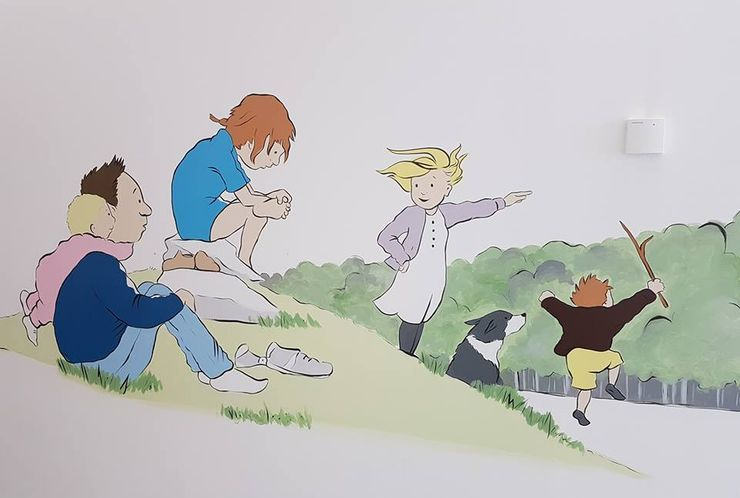 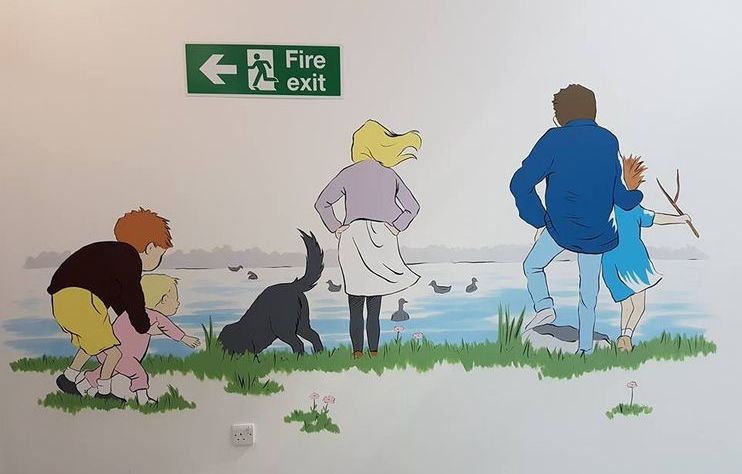 These murals are painted from the pages of the much loved childrens book 'We're Going on a Bear Hunt'. 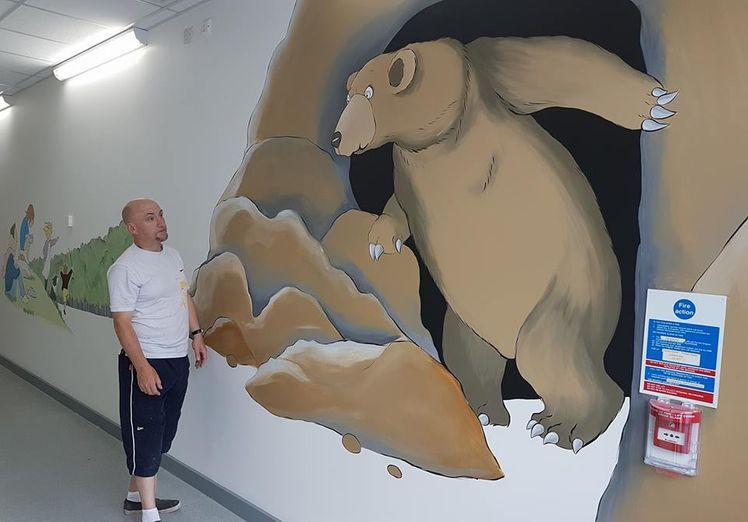 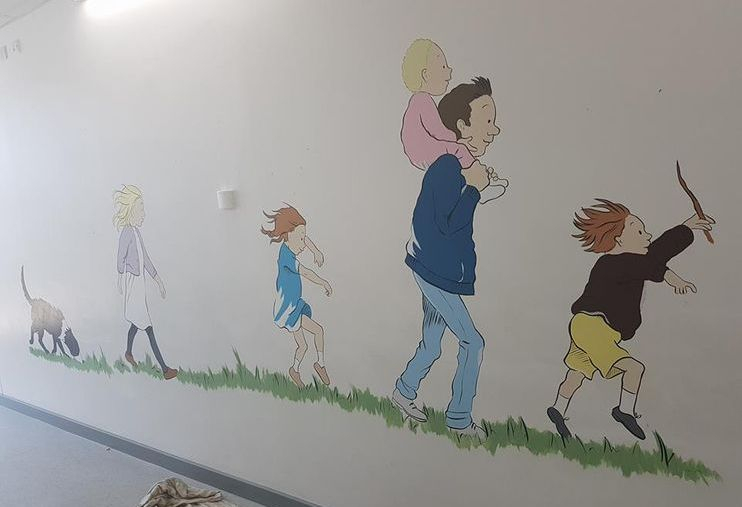 The murals go all the way down a corridor in Loxford Primary school. 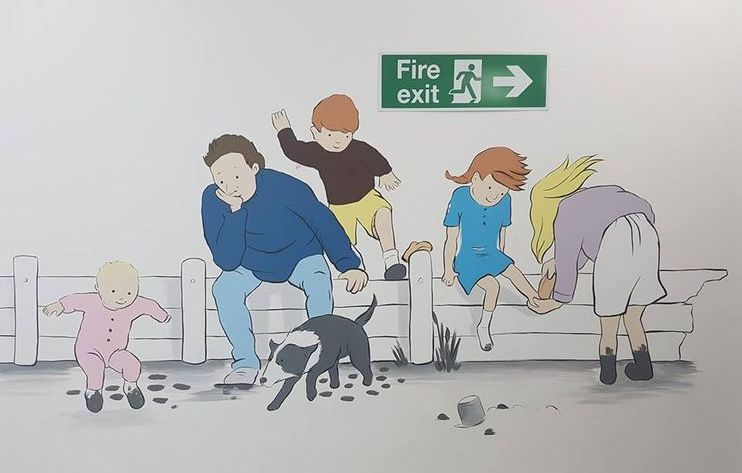 This took us four days to complete.